FLORIDA: Today’s streets are no duck walk for Florida residents in cities such as Miami and Orlando; just two of the nine most dangerous places for pedestrians in the U.S., this according to the “Dangerous by Design’ report published by Smart Growth America and the National Complete Streets Coalition. 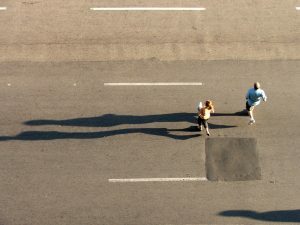 According to the report, Florida pedestrians run a high risk of suffering severe personal injuries and even wrongful death by being run-over in the Miami-Fort Lauderdale-West Palm Beach area, which ranks 14th among the most dangerous places in America for walking. According to figures, there was a 35.7% increase in the number of pedestrian-related deaths in the ten-year period from 2008 to 2017, with over 49,000 reported fatalities across the U.S.A. With regards to Florida, close to 5.500 pedestrians died during that same time period. Ironically, traffic accidents declined by just over 6% over the same ten years and can lead people to believe that driving is becoming safer than walking in Florida. Orlando ranks at the top in terms of Florida cities where pedestrian fatalities were reported, with 656 reported deaths from 2008-2017. Daytona Beach ranked 2nd, with Melbourne-Titusville and Sarasota-Bradenton ranking 3rd and 4th respectively. The report aims to shed light on a truly terrifying trend for Florida pedestrians as the reasons for the increase in death rates can be attributed to social factors that combine with flaws in city infrastructure designs, which favored vehicles and not pedestrians. In other words, streets were originally designed for cars and not people, with the elderly ranking at the top when it comes to those killed in pedestrian accidents in Florida. It’s worth pointing out that most pedestrian accidents occur at intersections, at night, or within the minority communities. The National Highway Traffic Safety Administration (NHTSA) reports that the rise in SUV and light truck use has led to more pedestrian deaths simply because being struck by these vehicles is more likely to cause fatal injuries. In order to revert this growing trend, experts believe that redesigning outdated urban streets is necessary to make cars and trucks less hazardous to Florida pedestrians. Experts believe pedestrian deaths can be averted by implementing intelligent solutions at urban crosswalks and intersections. Till then, pedestrians will have to keep their eyes peeled to the ever-growing traffic zipping through Florida’s urban areas like there’s no tomorrow.